Hello once again crafty friends!! Today's project is another very simple DIY transformation from a hanging jewelry organizer to this hair accessories organizer. As I've mentioned before in previous blog posts I have been making DIY projects such as home decor pieces for my granddaughter's nursery. My daughter and I were at a store called Fallas and they had affordable products such as clothing, home decor pieces, kitchenware, etc. She picked up one of the jewelry organizers for only $2 and asked if I could alter it for the babies room. Of course I said YES! So here is how I went about transforming a simple jewelry organizer to a beautiful floral hanging home decor piece. I began by picking out the paper I wanted to use on this. Going thru my paper pads I chose this beautiful floral one from Anna Griffin. I had purchased this along with 4 more during an end of year clearance sale last December at Joanns. This paper is not only beautiful but very sturdy and is one sided sheets. I had some muslin fabric and some extremely beautiful laces from Crafty Me Shop on FB that I had purchased recently. 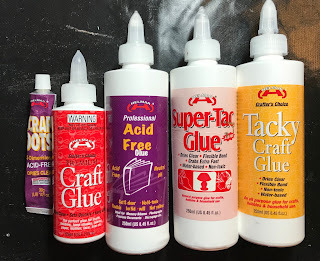 I grabbed one of my favorite adhesives from Helmar, Helmar Fabric Glue . This is also my featured favorite product for this month. 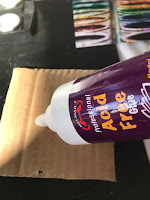 I began by using Helmar Fabric Glue along the edges of the top part of the hanger which had fabric and as I applied the glue I adhered the muslin fabric onto it. Once I had finished adhering the muslin on both sides I picked out which laces I was gonna end up using on this. I chose some white, wide lace with beautiful white stitched design. Both sides were different though. After adhering the lace using Helmar Fabric Glue I then needed to cut and adhere the floral paper cardstock that I had chosen for this project. I decided to use the Helmar 450 Quick Dry Glue to adhered the paper to the inside of the pockets of this organizer. I had purchased a 2-pk of some beautiful white nagorie feathers at Michaels specifically for this project. I added it to the center of it. I then began adhering a different floral paper to the other side and finishing up my project. This project was fast and easy to create and I hope you too can find some items you might have at home that can be transformed into some beautiful decor pieces. I found these cute left over chipboard alphas at the op shop for 50 cents and I wanted to use them as a background on a layout of my granddaugter, while playing with the letters I realised I had the right letters left to spell out crawl so I changed my plans and saved the rest to try again on another layout. 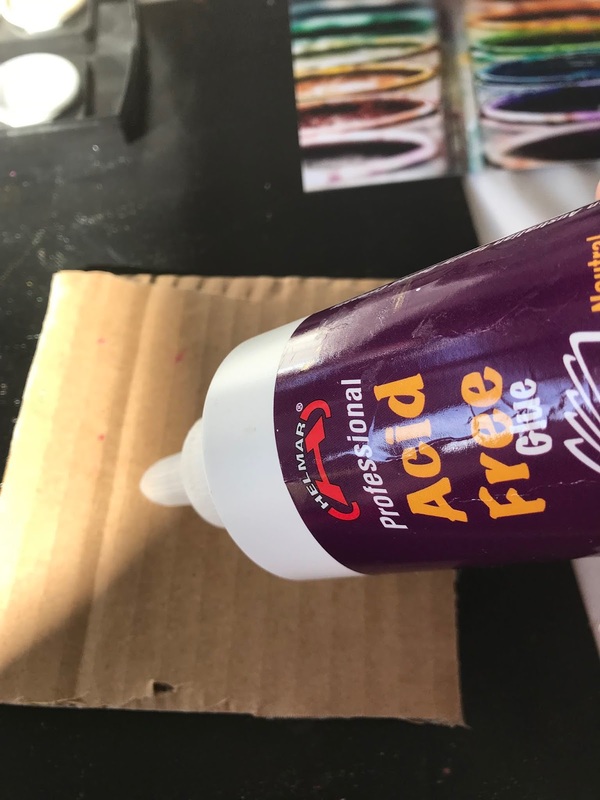 Helmar's Acid Free Glue was perfect for adhere my chipboard letters and squares. It gave me the wiggle I needed when adhering the chipboard pieces as I often stick things down and then want to wiggle them. I also used it to adhere the papers and flower die cuts that were not being popped up with Helmar Liquid Scrap Dots. 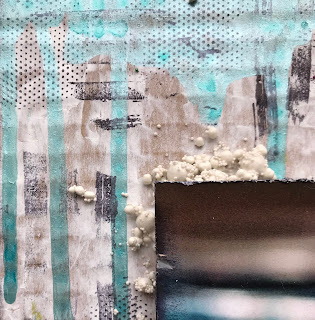 I adhereed some pink spotty paper and a scrap of bright pink cardstock behind my photo and then added Scrap Dots between these layers and the ones adhered directly to the cardstock. I also used Scrap Dots on the flower die cut that would be closest to my photo. 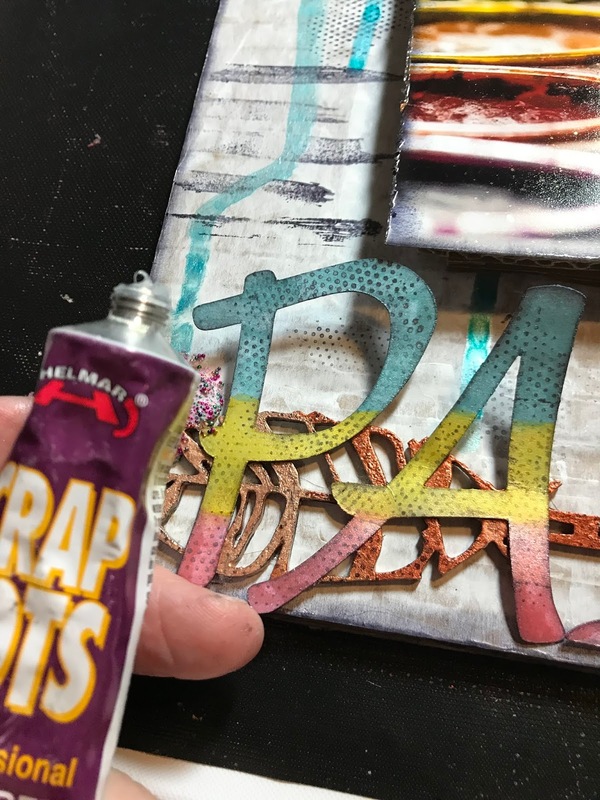 I absolutely love Scrap Dots, they are my new favourite Helmar product as they give me the pop up I need without fussing with foam or cardboard. I love the lift I have gotten on the die cut and you can't see any foam or cardboard underneath it, it looks like it is floating. A simple doodle boarder using a old pink pen I have in my stash was a great way to make the layout feel complete. I love how this layout turned out! If you would like to see how I created this I filmed a Process Video to share with you, you can find it here. Hello! 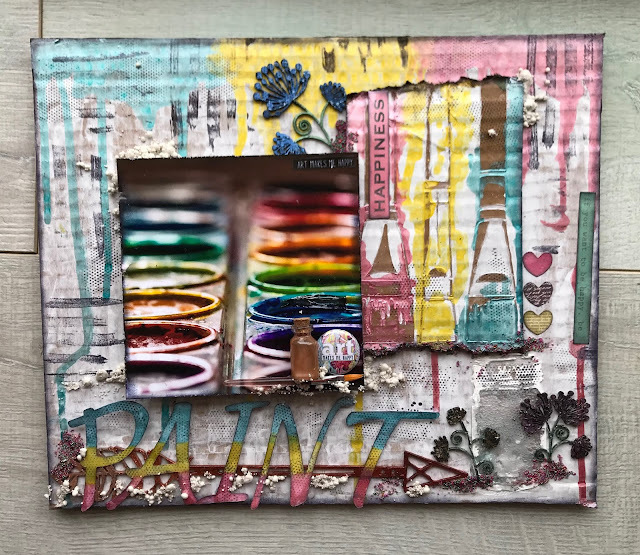 It’s Robyn Wood with you today sharing a project featuring a bit of a different type of technique – using Helmar Tacky Glue to add foiling to a card background. I love the current trend of adding foiled images and diecuts to papercraft projects, but didn’t really want to invest in a new setup that I would use a handful of times, so I looked for an alternative. 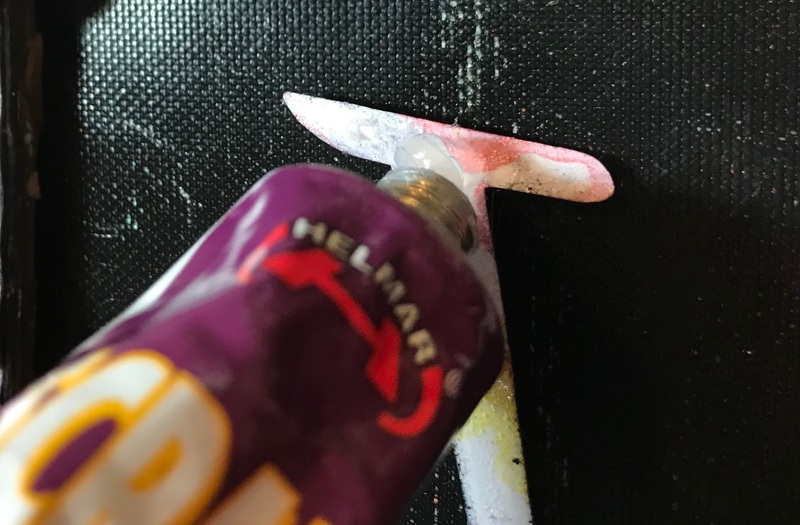 I found that the sticky tackiness of the Helmar Tacky glue was perfect for holding onto foil coating and left a lovely, random effect. 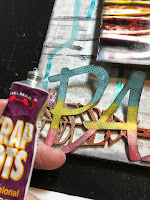 This technique will also be handy for using up those scraps of foil that tend to appear after a foiling session, nothing is wasted! Scribble some of the blue Ecoline markers onto a non-stick craft mat and spritz with a little water until the ink beads slightly. Ecoline markers are filled with liquid watercolour so colour easily spreads with water. In place of these markers, you could use anything watersoluble such as Tombow markers or Distress stamping ink. Drag the piece of watercolour paper through the colour to give a watery splotchy effect. Allow to dry. Emboss paper then cut to size suitable for card front. I’ve torn the bottom edge to give a different look. Apply a small amount of Helmar Tacky Craft Glue to a few random parts of the embossed image. Working a small area at a time. 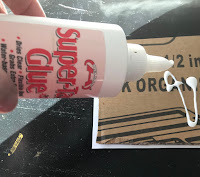 Allow the glue to air dry for a few minutes, it is ready once the white cloudiness goes clear. 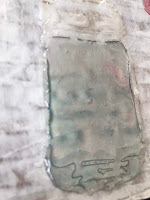 Carefully lay a small piece of foil on top of the glue and gently burnish until the foil transfers. You don’t want to be so firm that the embossed pattern is lost. 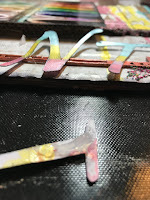 Cover each of the glue spots with foil and repeat until you are happy with the amount of foiling added. Stamp butterflies in three different sizes and the long stems of leaves using black permanent stamping ink onto watercolour paper. 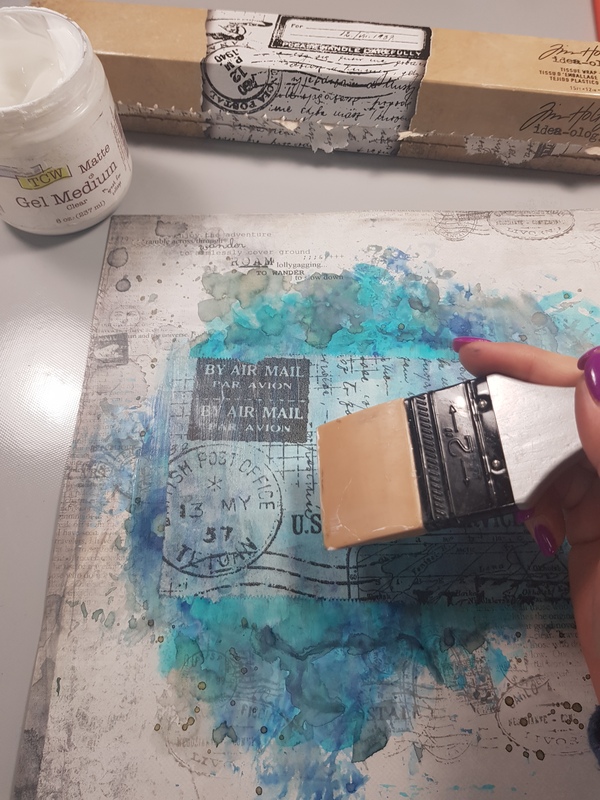 Using the same technique described above, add colour to the stamped images. 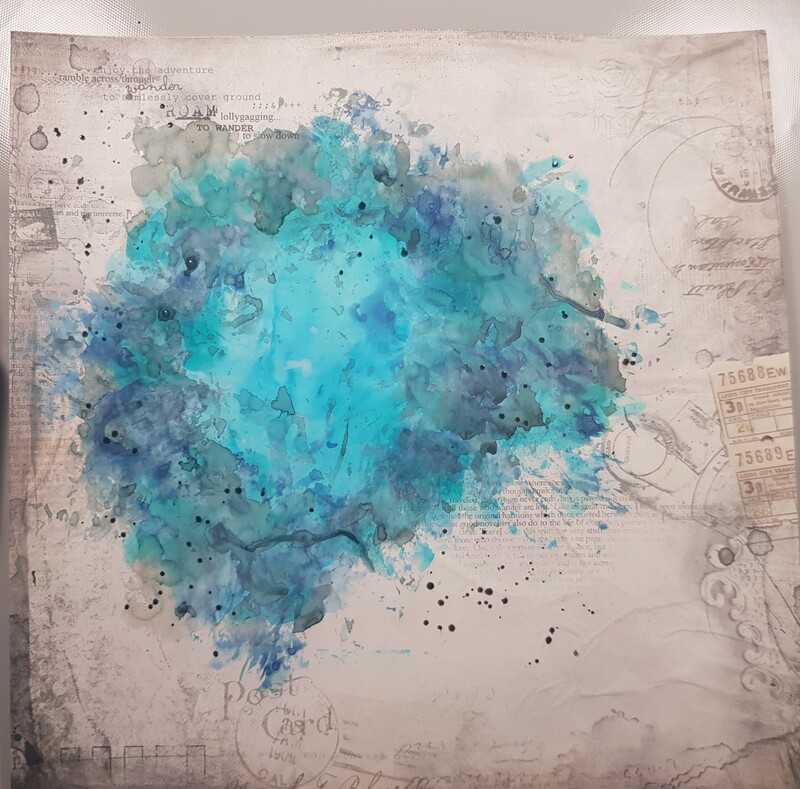 I find it a bit serendipitous to put a trio of ‘butterfly’ colours together on my non-stick craft mat, spritz & drag my images through – the splotchy blend of colours is unachievable any other way. Dry the images and fussy cut. Layer foiled background and stamped greeting as desired and mount onto card front. Add ribbon and stamped images as indicated in my photo, taking care to separate the butterflies a little so the foiling can peak through. I like to add a touch of Premium Craft Glue to just the centres of images so that things like wings and leaves can lift from the card a little. I love that it dries so fast and holds so well! Hi its Bridget here. 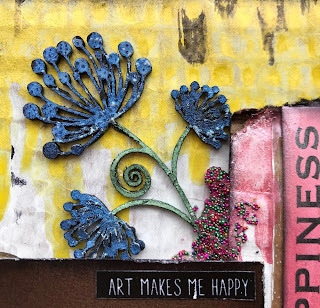 I am really excited it is school holidays as I can usually squeeze in some extra scrapbooking time and also do some fun arts and crafts with my children. So today I thought I would share a couple of our creations. First of here is my scrapbooking layout. Firstly go crazy with your watercolor, there is no right or wrong way to go about it. Add some stamping, a little bit here and a little bit there. 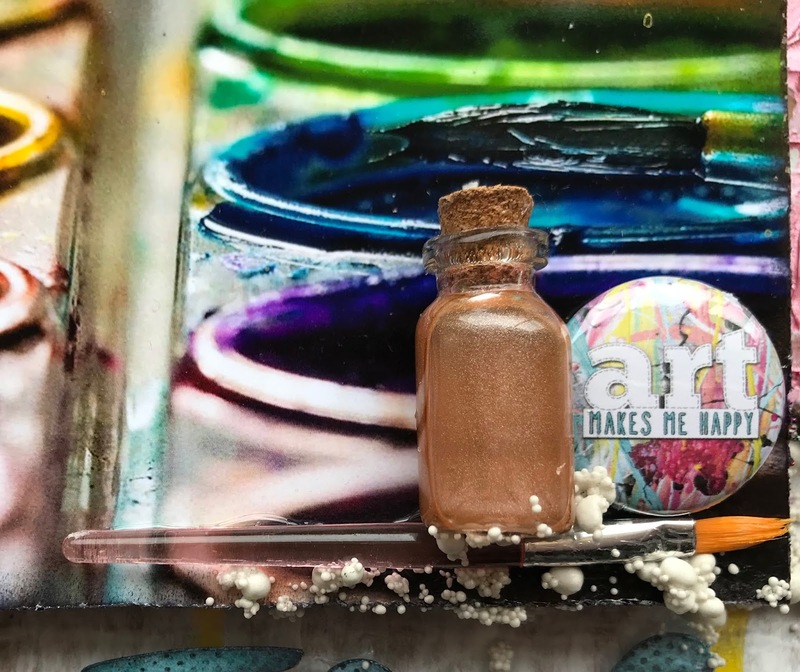 I recently got some gilding flakes and I couldn't wait to try it. I brushed a little of the tacky glue onto a stamp. then stamped it onto my page. 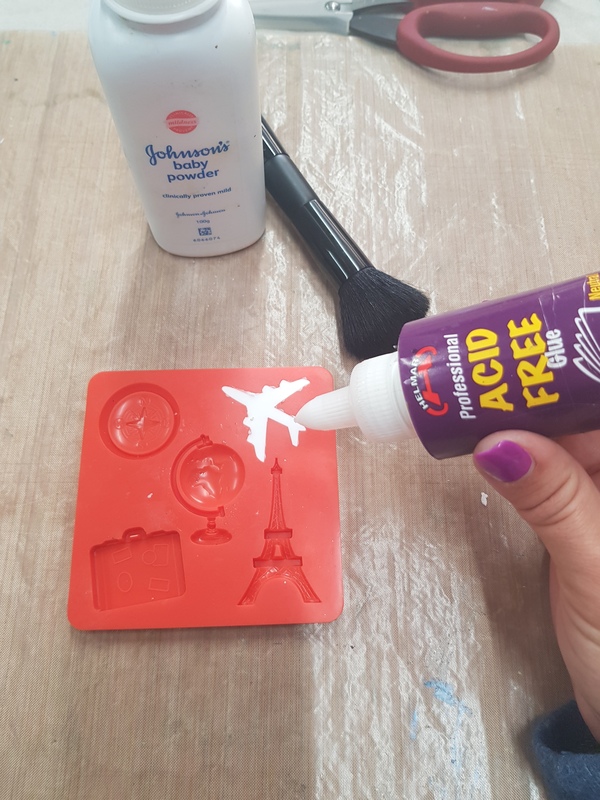 I didn't want the glue to dry on my stamp so I quickly washed it. 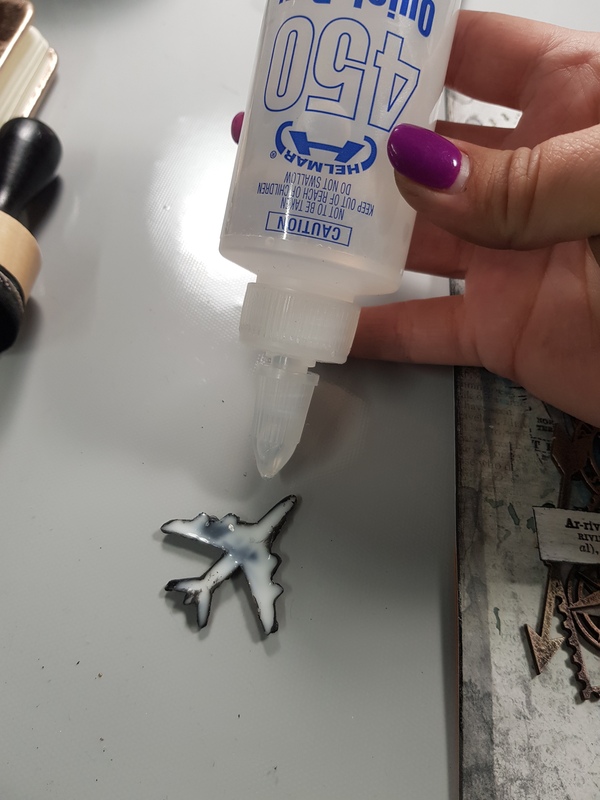 This allowed my glue to dry and be tacky. Then carefully I added my gilding flakes. these things blow away easily so be careful. 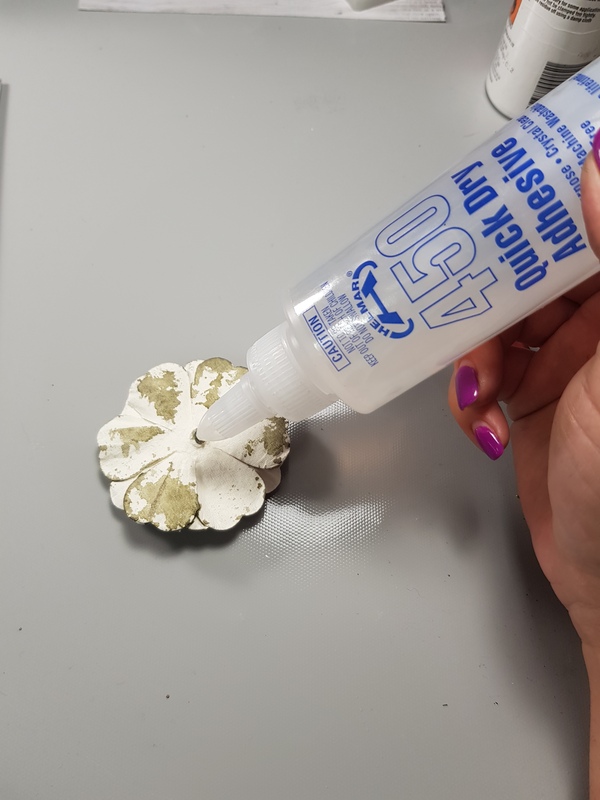 press down firmly onto your tacky glue and then brush away with a dry brush. So pretty. I did this a few times across my page just to get a splash of gold. Using Helmar Professional Acid Free Glue I added a Mat to my photo. and then added my embellishments, including shells we found on the beach. It was really fun playing with the gilding flakes and bringing a little bit of bling to my page. I can't wait to try another project. paint or food coloring if you wish. 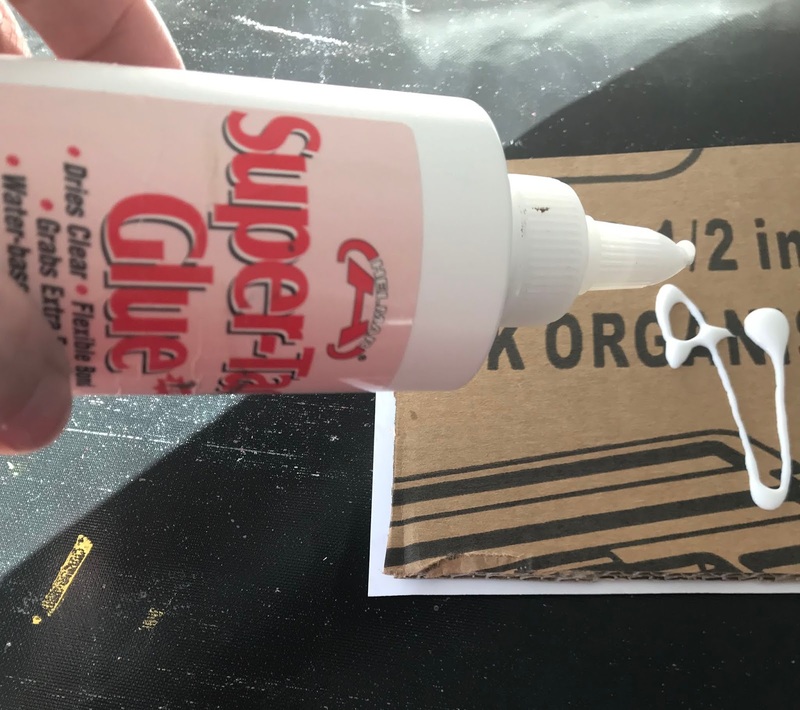 Combine your glue and shaving cream and paint. A equal amount of glue to shaving foam is needed, but its fun squirting the shaving foam and the puff paint still works . Then with our puff paint we painted our icecream. You can apply this any way with a brush,a piping bag or even with your fingers. even after the paint drys it still is puffy and fun to touch. Here is a close up. Thanks for joining me and I hope you have enjoyed out school holiday art. Happy crafting! Hello everyone! I'm here today to share one of my shabby chic cards. I love to mix different textures on my cards to add softness and shabbiness. I began by cutting a sheet of card stock in half and folding the half in half to form a card. I'm not big on measurements which makes my crafting even more fun! Then I cut a piece of patterned paper to fit the card front and then a mat out of coordinating paper just a bit smaller than the first piece. To add a special touch, I sewed around the edges of the patterned paper. I love the way that looks! I use my scissors to distress the edges of the paper to give them softer edges. 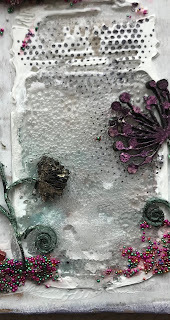 I used the Helmar Premium Craft Glue to adhere the paper to the card and to add lace and other embellishments. 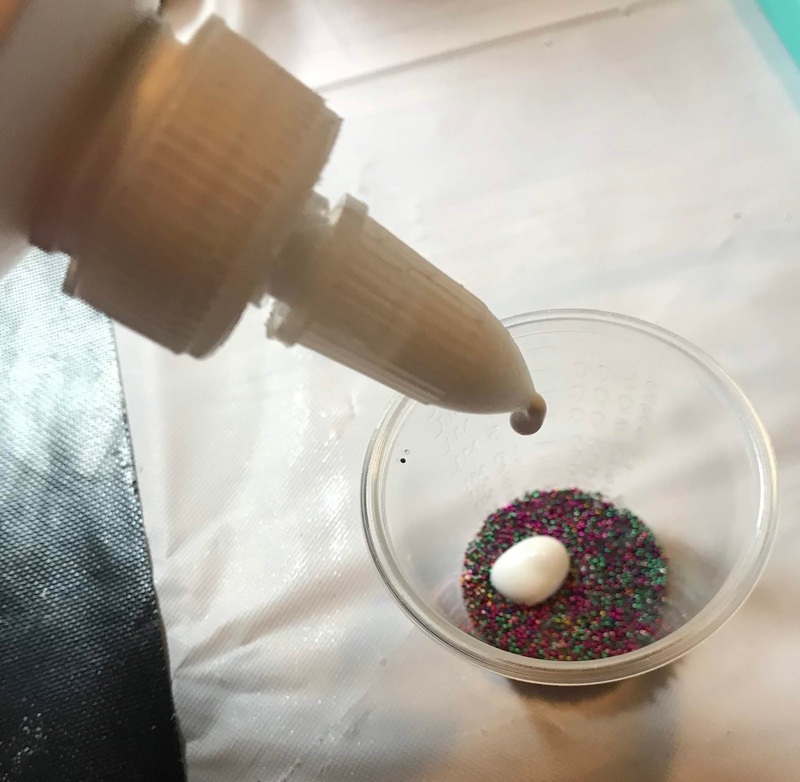 The Helmar Gemstone Glue is perfect for adding pearls! I fussy cut these adorable butterflies from the paper pad and covered them with glitter glue and used Helmar Liquid Scrap Dots to pop them up on the card. I love this pretty little card with all of its special details. I hope you like it too! Hello once again crafty friends!! I hope that everyone has been enjoying their summer! I most definitely have been. As some of you might know, I was not a fan very much of shabby chic , pink, frilly themed projects when I began crafting. I have a fellow crafter, teammate and friend, Amy Love to thank for introducing me to this. I got truly inspired by many crafters along the way. 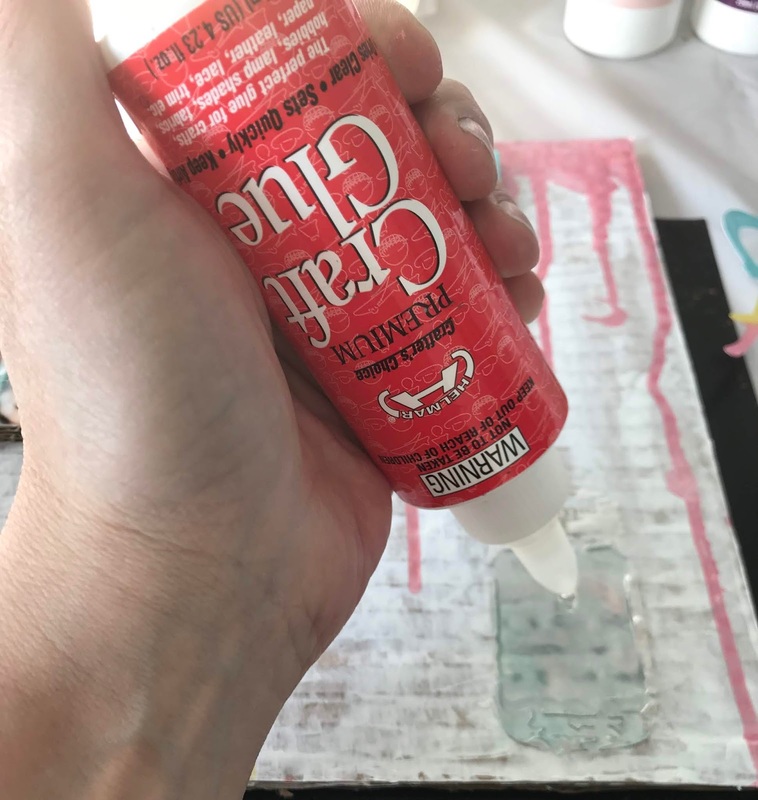 So as I had been preparing for the arrival of my granddaughter and helping my daughter decorate her nursery, I wanted to make projects that would not only be beautiful but also be able to serve as this useful home decor piece. As we all know having a little girl there is so much that we want them to have from adorable outfits to beautiful matching hair accessories. 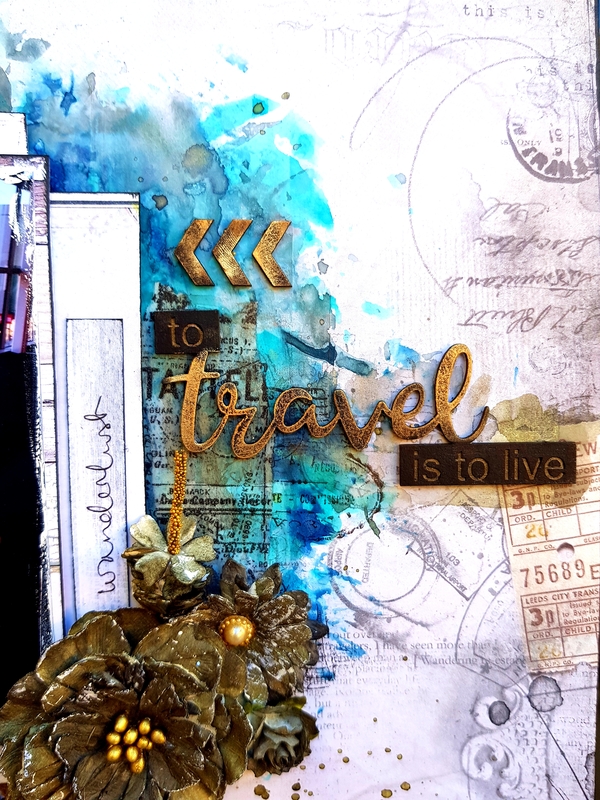 I'm excited to share with you all this super cute travel suitcase that I put together using a kit from Want2Scrap and used a couple of different adhesives from Helmar to put it together. This kit is made out of chipboard. I have used some paper from the Prima Marketing collection Love Story. I used the laces from Crafty Me shop on Facebook and of course used the great adhesives from Helmar. This kit comes with a variety of chipboard and corrugated board sizes that has to been put together but is very easily done. 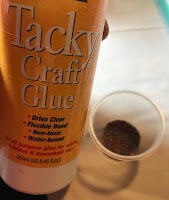 The liquid adhesives that I used on this project worked great and I have no doubt that this project will last for years to come for my granddaughter to use as she gets older. Right now my daughter is using it to store her hair brush, comb, and other everyday use accessories for my grand daughter. It sits nicely on her dresser. I have made a picture tutorial Snapguide! So I hope you will take sometime and take a look at it and give it a try. You can make it for any area of your home and different styles to match the rest of your decor. Hello there fellow Helmar lovers! 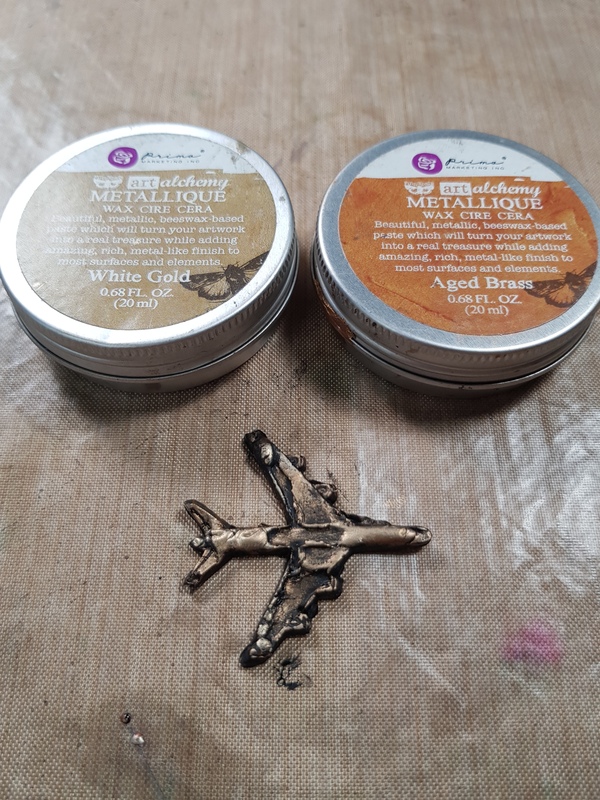 Farrel here to today to share with you all my latest mixed media layout using the theme of planes. 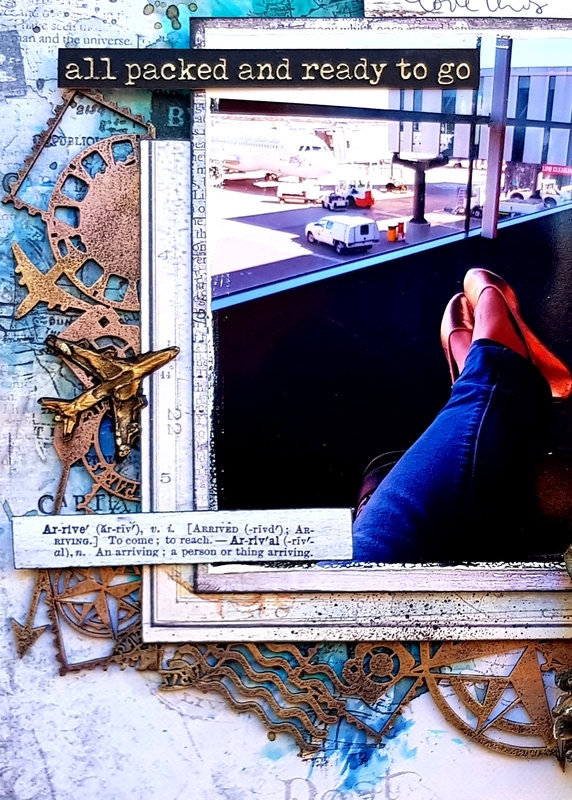 So for this post I decided to scrapbook a photo of myself waiting at the airport. 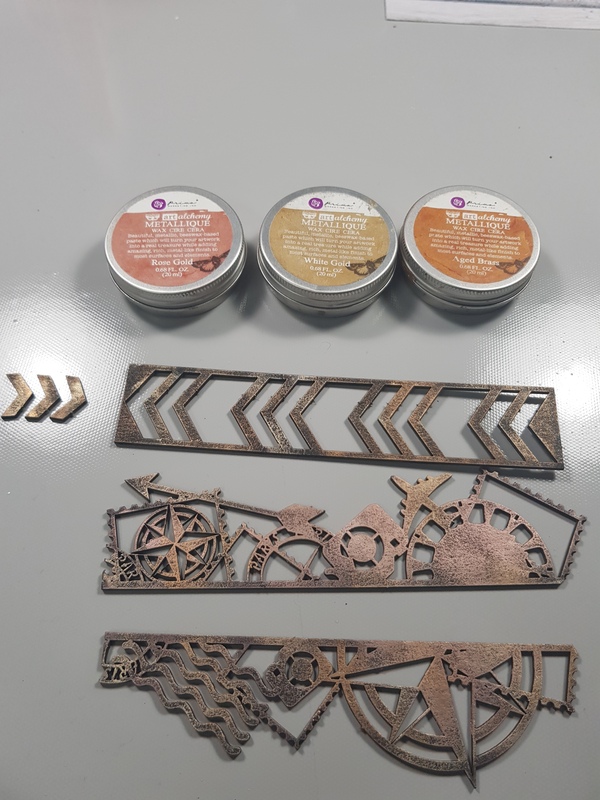 Then I added 3 colours from the Prima Art Alchemy Waxes - Rose Gold, White Gold and Aged Brass. I just used my fingers to apply these waxes. I used a piece of cardboard to create this project I didn't have a canvas that suited what I wanted and I have large stash of cardboard cut off's just incase (I also use it to raise my photos and other things up on my projects). So I started off by scrapping a layer of white gesso across the cardboard which gave a great texture because of the grooves in the board. 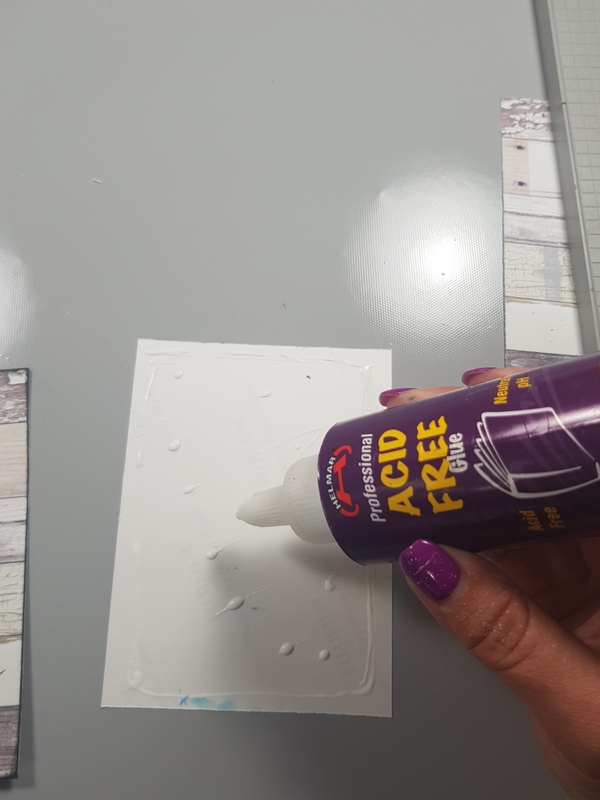 Whenever I glue a photo to anything I always use the Acid Free Glue so I know the photo is always going to be safe. Then to stick the boards together I used the Super-Tac Glue I know this will hold them together well. 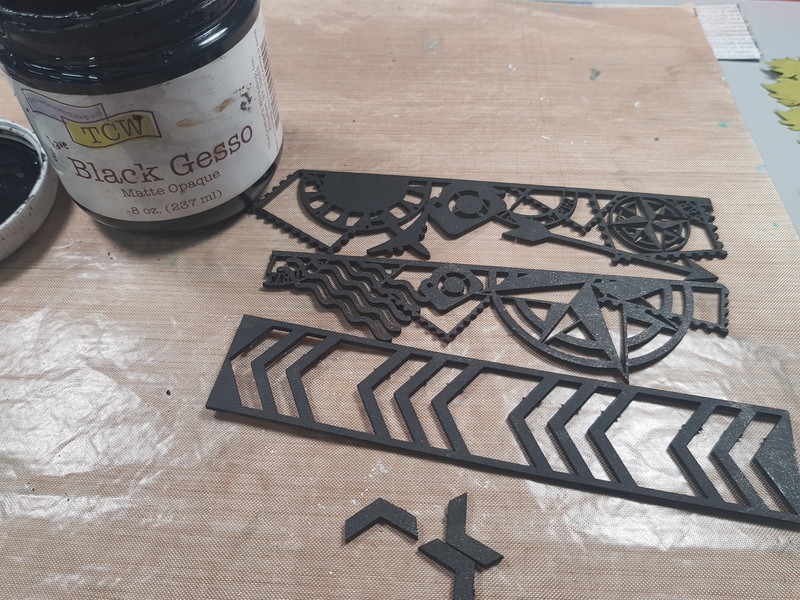 Here I had used a stencil of a jar with some modelling paste and painted a mix of the colours I'd used and a bit of grey to make it look like paint water. I wanted the jar to look like glass so I used the Premium Craft Glue as it dries clear and gave it the look I wanted. I used the Tacky Craft Glue or the Super-Tac Glue to add to my micro beads and Art Stones I like these as they are flexible glues and they dry clear and don't take away the colour from the micro beads like some of the other glues do. 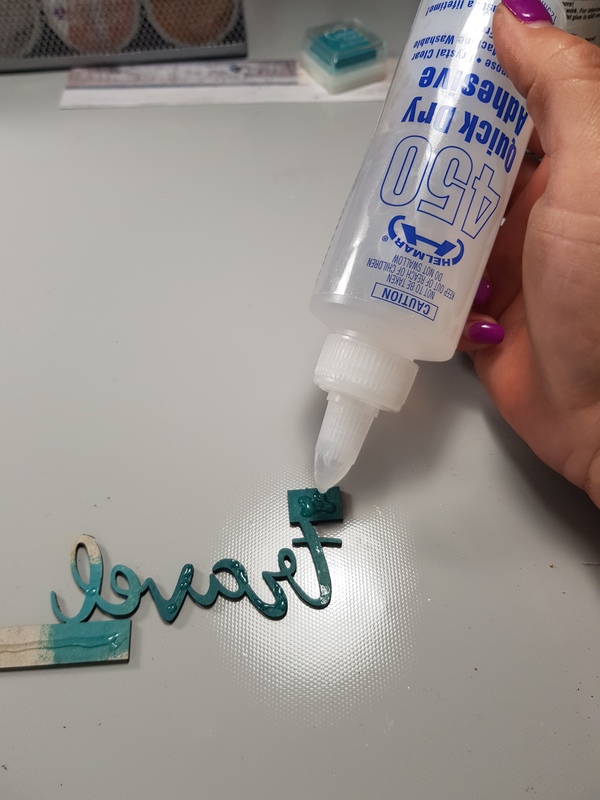 Liquid Scrap Dots is awesome for adding dimension to thin things like these letters that need height either side as the middle has been stuck to the arrow but the top and bottom of the letters need be stuck down too and because they are narrow it makes it hard to use anything else. 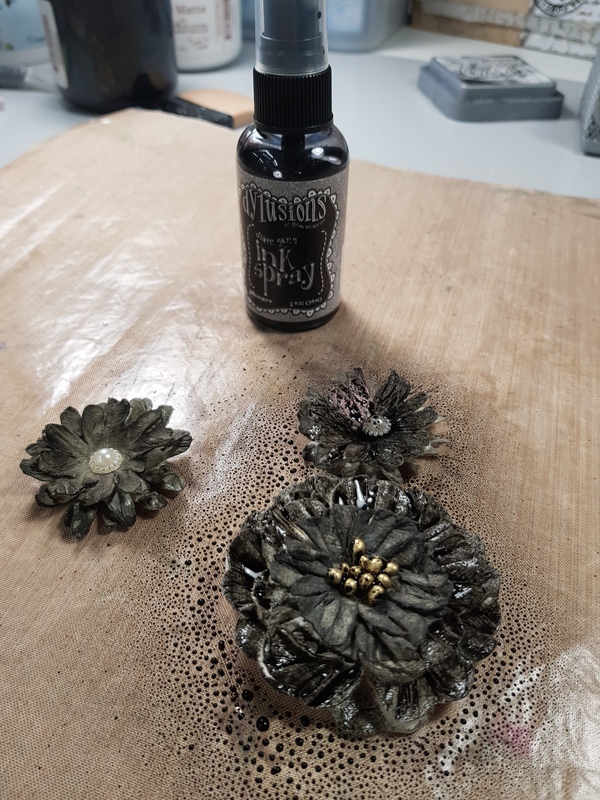 Here I added a few little embellishments including a small brush, a jar that I added some bronze spray too and a Flutteryby Designs Flair Button too. The word stickers are from one of Tim Holtz's sticker books and the hearts are from a Kaisercraft sticker sheet I have had for awhile. The chipboard thistle flowers are from Memory Maze and I stamped them with a tiny dot stamp which I also used randomly stamped around various places. The arrow under the word Paint is also from Memory Maze and is part of the Boho Deer Skull with Feathers Set. Here are all the glues I used and you can find them at most of your local stores or on the Helmar site. I have actually been working on this project a while.. and I kept putting it down and putting it down.. I cant say that this is all I will do to it either!!! It is done for this blog post though.. (smile) I found this toy guitar at the Dollar Tree and as soon as I saw it, I wanted to alter it. While my altering became more of an embellishment to a canvas, I am pleased with where it went. Check it out! I began by painting the 8x10 canvas white with gesso. 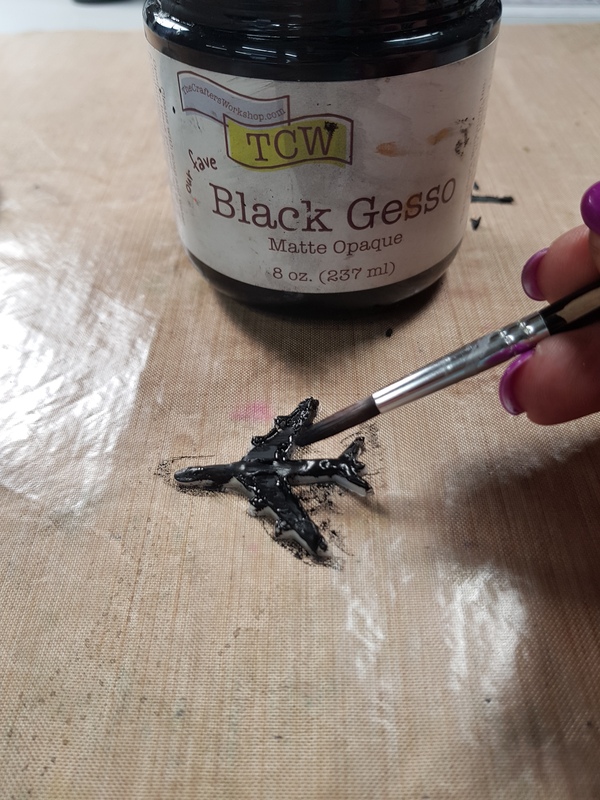 I think you can never have to much gesso, but hey that's me! 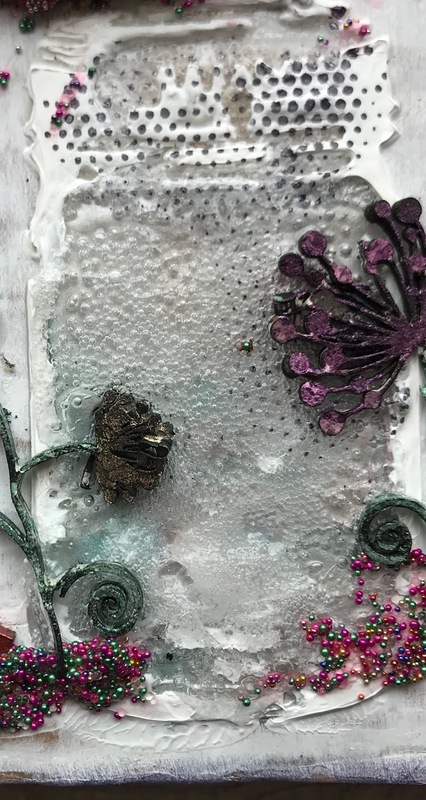 I then gathered embellishments from all over my stash in the forms of flowers (paper, fabric and crocheted), metal and plastic bits and bobs. To be honest anything that would give dimensional texture. (smile) I used the Helmar 450 Quick Dry because its the best of the best for me. Believe it or not.. most of the base items have been adhered to the canvas over a year already! (told you I started it and put it down!!) items vary from lightweighted paper flowers to that heavy metal crown! Heck even the guitar is adhered to the canvas with 450 QuickDry (smile) AAAHHH-Mazing right? yes yes! Here's a few quick shots..
Now for the layers and layers of color with Jane Davenport Mermaid Markers and then acrylic paint! after this 3 layer of color I use the Helmar Cyrstal Kote Fixative before I did anymore pen work or additional addons. Because bling is definitely coming on this piece folks!!! I added some rhinestone with a small brush. I then sprayed the whole piece, embellishments and all with wonderful Helmar Crystal Kote Gloss. Folks that Gloss.. let me tell you!! It totally intensifies anything you thought you colored!!! It too is AAAAHH- MAZING!!! Be a AMAZING ARTist and CREATE AMAZING PIECES with HELMAR PRODUCTS!!! Okay, one more collage!! HI its Bridget here again, today I want to share with you a little creation I made to brighten up my children's bathroom. Here it is. First of be sure your glass is clean and dry. A a drop of Helmars 450 quick dry glue to your glass bead and press onto your glass jar. Repeat until you have one row. I find its better to let the glue dry for a few minutes before continuing on with the next rows. Keep going until you have covered the jar. That is it! So easy and the jar looks amazing! We used ours in my children's bathroom to store their makeup wipes, but these would also be amazing if you put a battery operated tea light in them. The light shining through the beads would be so pretty. Once again here is the finished jar. Thank you for joining me. Happy crafting!